Run the Westside of the Atlanta BeltLine! Now in its 9th year, the 2019 Atlanta BeltLine Run.Walk.Go! Race Series is the ideal way to explore different trail segments while enjoying some fresh air and exercise. Check out the latest Atlanta BeltLine developments, snag an awesome t-shirt, and burn a few calories - runners, walkers, strollers, and dogs are all welcome! This year’s Westside 5k/8k starts and ends at the Lee + White Development and makes extensive use of the Westside Trail, which opened to the public in September 2017. Hundreds of participants — from avid runners to families with pets and strollers — will run/walk through historic neighborhoods like West End and Westview with 8K participants continuing on the trail to Washington Park and back. We'll finish off the run with a free after-party at Monday Night Garage! 100% of race proceeds go directly to the Atlanta BeltLine Partnership. Add a little to your distance, and see a little more of the trail by running the 8K. You can up your distance for the virtual race also. Are you up for the challenge?? Do you have what it takes?? Push yourself and Conquer the Westside by running both the 5K @ 7:30 am then the 8K @ 8 am! Race one, or race them all. Add on the Eastside 10K race to receive a discount! Avoid the lines on race morning and pick up your race packet early at Atlanta BeltLine Center. Early packet pickup date and time and will be shared in an email to registered participants! Create a team or join a team for the Northside 5K. There are several team challenges to participate in this year – top fundraising team, largest team and fastest team! Here's how to create a team. Here's how to join an existing team. Did you know? 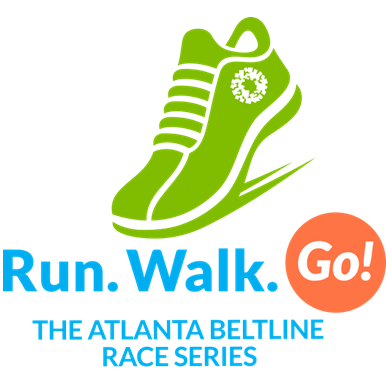 All race and fundraising proceeds go the the Atlanta BeltLine Partnership. Register and run with us! Invite friends and family to join you. Help move the Atlanta BeltLine project forward, share with friends and family, win great prizes! Here's how to create a fundraising pledge page. To share your page, simply copy the page URL or tap the social sharing icons on your page. Here's how to contribute to an existing fundraising page. Tap "donate to a participant" on the left sidebar. 5. Monday after the race you'll receive an email with a link to the results and any pictures. 6. Monday after the race we'll mail virtual runners' t-shirts, medals, and Keepsake Bibs. Overall awards will be based on gun time. Age group awards will be based on chip time. Our start and finish line will be filled with energy, music and refreshments. This year's course is almost entirely on the Atlanta BeltLine Westside Trail. Start and finish will be chip timed. This race will have quick waves to ensure no one gets bumped around in the crowd. 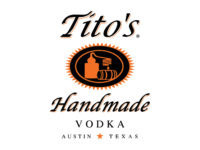 After the run, 21+ participants with ID will get a free beer at Monday Night Garage! All registered participants earn free entry into the Five Star Turkey Trot on Thanksgiving Morning, or the Five Star Early Bird on the Saturday before Thanksgiving. Top finishers qualify for the Five Star 5K Championships to be held on January 5, 2020. There are no refunds, transfers, or deferments. Our events are designed to be fun and for the entire family. Persons exhibiting unsportsmanlike conduct will be asked to leave the venue and course immediately and will forfeit registration and participation in the Westside 5K event.